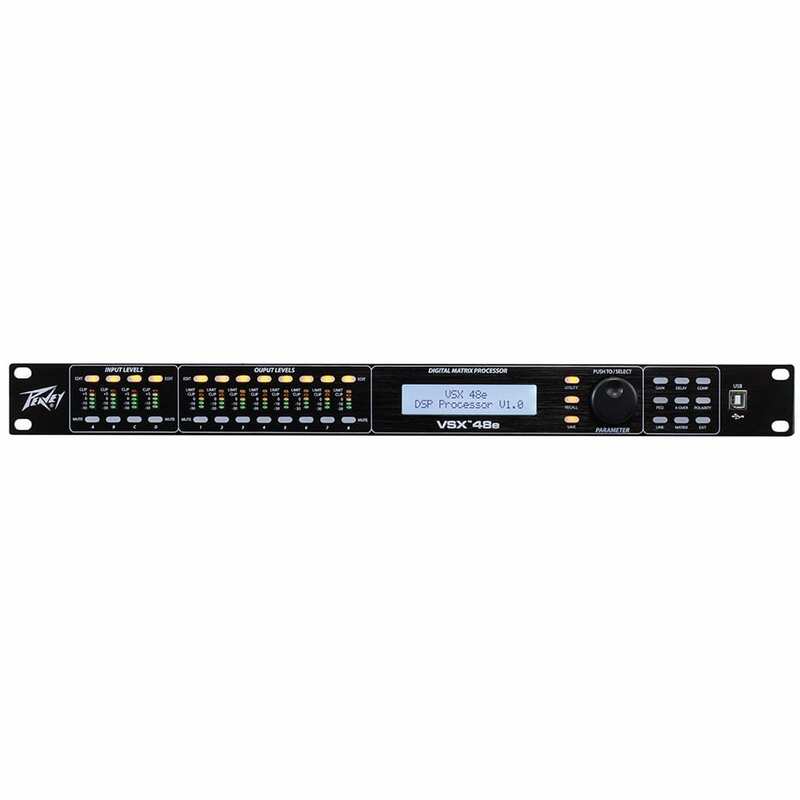 The VSX 48e processor is a DSP-based, loudspeaker management systems that boast a 96kHz sample rate and a floating point DSP processor for quiet accurate filter response. The crossover filters are fully adjustable and any input can be routed to any output. The VSX® Editor Program for PC allows complete remote setup and operation via the front panel USB port or by the rear panel Ethernet network connection. Files can also be saved and loaded using the included interface software.